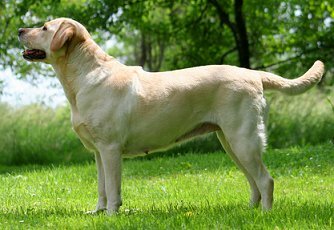 Yellow Labradors can be any shade from reddish to pale yellow, even approaching white. Nearly every obedience class I've ever taught has included at least one Lab. That's not because the breed has a lot of behavior problems – they don't – but simply because it's the most popular breed in the United States. And rightfully so. The Labrador Retriever is one terrific family dog – that is, when given enough vigorous exercise (including daily fetching games, and swimming if possible). You can't just leave this breed in the back yard every day with one walk around the block. Too much confinement and not enough exercise can lead to rambunctiousness and destructive chewing. One of the best dogs for children of all ages, Labrador Retrievers are kindly, good-natured, and take most things in stride. Most Labs are friendly with everyone, though compared to Golden Retrievers, many Labs are just a bit more conservative with their affections. Also more independent – though quite biddable and responsive to obedience training, some Labs have a noticeable stubborn streak. Some have necks like bulls and barely notice tugs on the leash. You must control this breed's tendency to chew on objects and to mouth your hands – provide a box filled with toys that he can carry around in his mouth. The Labrador Retriever matures slowly, remaining a spirited teenager for several years. It sounds fun.... but does require patience and training to manage. Chocolate Labrador. Developed as hunting dogs to fetch and carry birds back to the hunter, Labs love to carry toys around. How big are Labrador Retrievers? Usually they're 21-25 inches at the shoulder, with males typically in the higher half of that range, and females in the lower half. Weight can be as low as 55 pounds, but is usually 65-80 pounds. 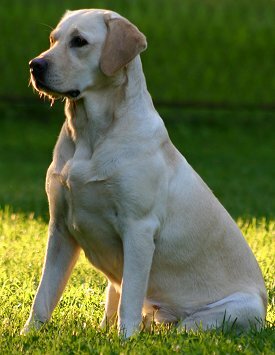 Unfortunately, the trend seems to be for heavier and heavier Labs, with a lot of individuals topping 90 pounds. I say unfortunately because heavier weight isn't good for their joints. This breed was supposed to be a medium-sized hunting retriever who could fit comfortably in a bird blind or a small boat. 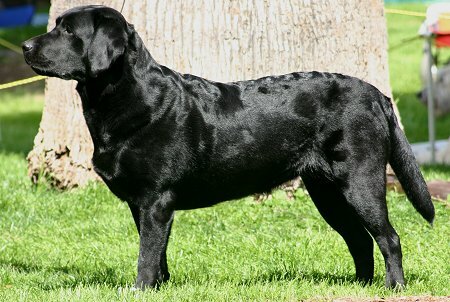 Show type Labrador Retriever. Much stockier than field type Labs. Are there different "types" of Labrador Retrievers? Not officially. There's only the one breed. They come in several colors, yet they're all Labrador Retrievers. 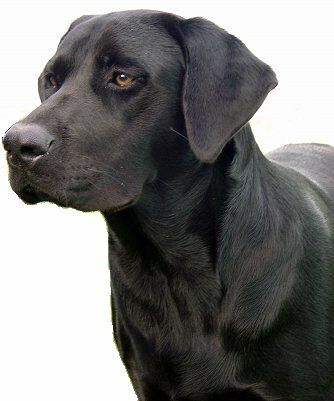 For hunting and field trials, though, black Labs are by far the most common color. In my obedience classes, yellow Labs are often the calmest and most mild-mannered. In contrast, the chocolate Labs I've worked with have all been very energetic. Of course, it might just be coincidence! But apart from color, you'll definitely see Labs who look quite different from other Labs. Different builds, different body shapes. In particular, Labrador Retrievers used primarily for hunting and field trials look very different from Labs you see at dog shows that emphasize conformation. Labrador hunting/field lines are more athletic, agile, and energetic. They have a narrower head, longer muzzle, lankier body, and a sleeker coat. Labs from show lines are heavier-boned and stockier, with a large blocky head and dense coat. Even within show lines there are variations, with British/English show lines having the shortest muzzle, shortest legs, and chunkiest build. To me, those dogs don't really look like the classic Labrador Retriever. But they do tend to be very sweet dogs with mellow temperaments that fit well into many families. How much exercise do Labrador Retrievers need? Many owners don't give this breed the exercise it deserves. These athletic, bouncy dogs need regular opportunities to vent their energy and do interesting things. Otherwise they will become bored, which they may express by becoming rambunctious and destructive. For example, a challenging dog sport (agility, rally obedience, musical freestyle, tracking, flyball, frisbee, field trials); interactive dog toys; a homemade obstacle course; fetch games and tricks. Some of these activities are included in my training book, Teach Your Dog 100 English Words. Black Labrador Retriever. Black is the most common color. Yes, training most Labrador Retrievers is easy. They housebreak quickly and are usually willing to please. But this breed is strong and energetic, especially adolescents. Many Labradors between one and three years old are dropped off at animal shelters or rescue groups because of dog behavior problems such as pulling vigorously on the leash and jumping on people. 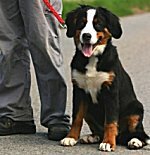 Focus on teaching loose-leash walking, indoor calmness, and no jumping. All of these are taught in my puppy training book, Respect Training For Puppies. How sociable are Labrador Retrievers? Are they friendly with strangers? Yes, most Labs are happy to see everyone. They'll bark when someone comes to the door, but they're not protective. This is a friendly, trusting breed. Are Labrador Retrievers good with children? Most Labs are among the best possible dogs for children. However, remember my cautions about exuberance and jumping. Young Labs (up to two or three years old) romp and jump with vigor. That means things can go flying – including people. If your Lab has been allowed to jump on people, you should stop this behavior immediately. Jumping can injure people, and even when it doesn't, it puts a dog in a heightened state of arousal that isn't good for him. If you don't yet have your dog and your home includes toddlers or infirm adults, you might consider skipping the challenging puppy and adolescent stages. Look into adopting an adult Labrador Retriever from a rescue group. Adults have a more settled temperament and you can specifically look for a calm one. Are Labrador Retrievers good with other pets? Most Labs are fine with other dogs and cats, fine with livestock, and even fine with very small pets such as rabbits and ferrets. Of course introductions should be made properly. Don't just plunk a baby bunny onto the floor and let your full-grown Lab loose in the room. Even a friendly dog can make mincemeat of a small fragile creature simply by jumping on it. Labrador Retriever puppies hardly shed at all.... but that won't last! Grooming: Do Labrador Retrievers shed a lot? Are they easy to groom? For such a shorthaired dog, Labrador Retrievers shed more than you might think – on the high side of average (at least). The bulk of their shedding occurs twice a year, for three weeks in the spring as their thicker winter coat switches to a cooler summer coat, and three weeks in the fall as their summer coat switches over to a winter coat. But they also shed some all through the year. Labs need more brushing than some other shorthaired breeds because of the high shedding. If you don't diligently pull out the dead undercoat during regular grooming sessions, it will all fall out on your floors and furniture. On the plus side, obviously Labs need no trimming! How long do Labrador Retrievers live? Are they a healthy breed? Labrador Retrievers typically live 10-12 years. Many Labs do live to 12 or 13, but usually with chronic health issues such as arthritis. Unfortunately, an increasing number of beloved Labs are lost in middle age to inherited forms of cancer or heart disease. Common orthopedic diseases in Labradors include hip dysplasia, elbow dysplasia, and luxating patella (loose knee joints), each of which causes chronic pain and lameness and can require expensive surgery. Labs are very prone to rupturing the ligaments in their hind legs – expensive surgery again. And if one hind leg ruptures, the other is likely to follow at a later time. Another surgery. It's a good idea to have pet insurance when you own a Lab. A number of eye diseases cause blindness in Labrador Retrievers. The breed is at higher-than-average risk for an emergency gastrointestinal syndrome called bloat, which can kill a healthy dog within hours. A number of neurological/neuromuscular diseases, some of them deadly, affect Labrador Retrievers. One example of an odd neuromuscular disease is called exercise-induced collapse. As the name suggests, affected Labradors who have been vigorously exercising suddenly begin swaying, collapse, and require a rest before they can move again. 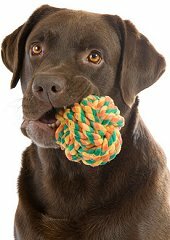 Here is a complete list of health problems in Labrador Retrievers. (feeding, vaccinations, neutering, veterinarians, and more). 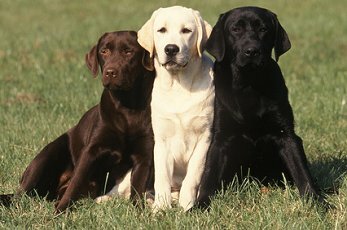 The three major colors of Labs are black, yellow, and chocolate. What colors do Labrador Retrievers come in? 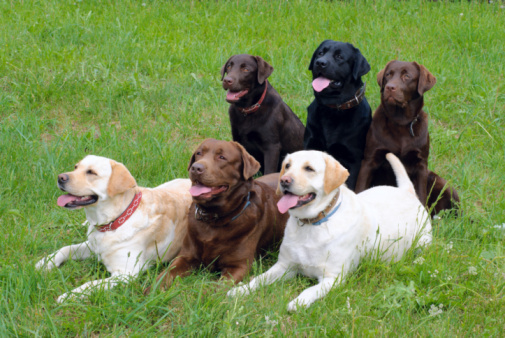 Officially, Labrador Retrievers come in black, yellow, and chocolate. They also come in silver (gray), but this color is frowned on by breed purists. You might have heard someone say they had a Golden Lab or a Fox Red Lab or a White Lab. These are just made-up names for yellow Labs whose shade of yellow happens to be golden or reddish or whitish. Whatever the shade, it's still just a yellow Lab. Chocolate also comes in shades: from light coffee to deep chocolate brown. Now, what about silver Labrador Retrievers? The official breed clubs, and breeders who show their dog in the conformation ring, state that silver is a disqualified color for showing purposes. In fact, most Labrador breeders insist that silver dogs aren't even purebred. Their position is that the silver gene infiltrated the Labrador's gene pool by crossbreeding Labs with Weimaraners. I think they're probably right. I think that one or more Weimaraner crosses probably did introduce the silver gene at some point. However, since genetic diversity is a good thing in living creatures, I don't view cross-breeding as an evil thing. So if there are some Weimaraner genes floating around in a silver Labrador, that wouldn't bother me. On the other hand, if I wanted a dog who could be counted on to look and act like a Lab, you're more likely to get that in a Lab who isn't silver, especially if the silver breeder is still using Weimaraners in his breeding program. And based on the appearance of some silver "Labs", there are breeders who are still crossing in Weimaraners. But almost certainly silver Labrador Retrievers are here to stay. 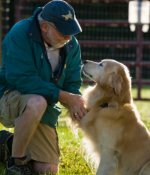 Even though they can't be shown, the AKC still accepts them for registration. However, in a funny twist, those registration papers don't say silver. 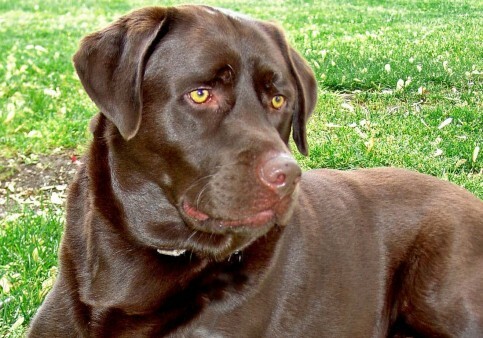 Remember, the AKC says that Labs can only be black, chocolate, or yellow. So they register silver Labs as Chocolate, because they consider silver to be a dilution of the chocolate gene. In other words, according to the AKC, your silver Lab is actually a chocolate Lab also has inherited dilution gene that washes the chocolate into a silvery gray. It doesn't end there. Some silver Labs aren't silvery gray, but dark charcoal gray. The AKC registers these dogs as Black, considering charcoal to be a dilution of Black. 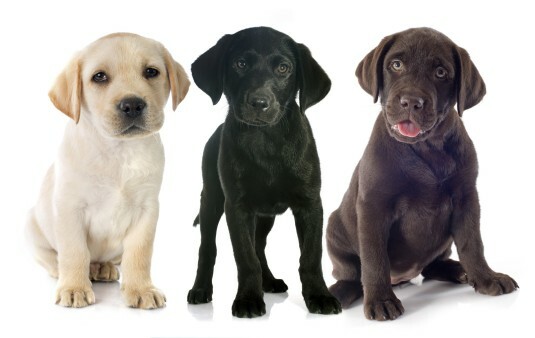 Yellow, black, and chocolate Labrador Retriever puppies. Congratulations! I'll be happy to show you how to raise and train your new family member. Take a peek at my best-selling puppy training book, Respect Training for Puppies: 30 seconds to a calm, polite, well-behaved puppy. Or check out my training tips to teach your Labrador Retriever puppy to be well-behaved. Labrador Retrievers are the most common breed in the United States, so they're very easy to find. The problem is finding one with the best chances of staying healthy through the years. First, you need to think about the different types of Labrador Retriever we talked about earlier. Field/hunting type or show type. You can buy a Labrador Retriever puppy from a show breeder who breeds Labradors to match a detailed standard of appearance for the dog show ring. Or you can buy one from a performance breeder who emphasizes an energetic temperament and strong working drives for hunting. Some breeders are a combination of show/performance. But how they prioritize those two goals can vary greatly. Or you can just hop onto Craigslist and buy a Labrador Retriever puppy from someone who "just breeds pets" or "just had one litter." But should you? Not unless the seller has done the proper health certifications on the puppy's parents. One huge difference between a responsible breeder and an irresponsible "puppy producer" is – health certifications. If a seller can't show you those certificates, the puppies are higher risk for health problems. You might choose to accept that risk. But then you need to be willing (and able) to pay a couple thousand bucks for future surgeries and lifelong meds if your Labrador Retriever ends up with cataracts and crippled joints. 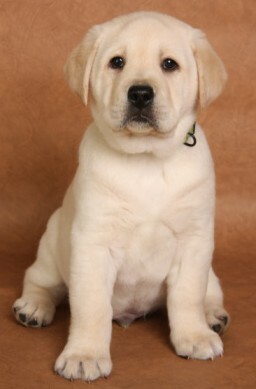 How do I adopt a Labrador Retriever? Labrador Retrievers are often available from dog rescue groups. Labrador Retrievers may be turned over to Rescue because they shed too much or need more exercise than the owner was prepared to give. Or perhaps they pull on the leash or jump on people. You would need to provide these dogs with the exercise and training that they are lacking. Labrador Retrievers (more often, Lab crosses and mixes) are frequently found in animal shelters. However, shelter personnel can be overzealous in labeling every medium- to large shorthaired black dog as a "Lab cross." Dogs can look like Labs without having any Lab genes at all. Did you know there's a quick and simple DNA test that can tell you definitively which breeds make up any given dog? What breeds are similar to Labrador Retrievers? The Golden Retriever is similar to a Labrador in being a great all-around family dog and a great choice for first-time owners. Compared to Labs, Goldens tend to be even more outgoing toward everyone and more eager to please. 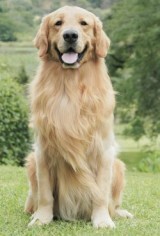 Goldens do shed more than Labs and have a greater risk of health issues. Compared to Labs and Goldens, the Flat-Coated Retriever needs more exercise and interesting activities to keep them busy. This is not a good breed for a casual or couch potato owner. Flat-Coats also suffer from serious health issues. 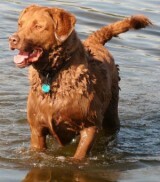 The Chesapeake Bay Retriever is a great dog for experienced owners. Compared to the Lab, a Chessie has a stronger temperament, needs more exercise, is more reserved with strangers, and can be bossy toward strange dogs.